School-based friluftsliv (i.e. outdoor education) is a significant part of the Swedish school curriculum in physical education and health [PEH] (Swedish National Agency for Education 2011), and consequently, also a significant part of the professional development of PEH teachers (Backman and Larsson 2016). However, drawing on the findings from my PhD dissertation (Mikaels 2017), I argue in this paper that the dominant pedagogy of school-based friluftsliv is inherently conservative and underpinned by an activity-based instrumental rationality. The dominant practice of school-based friluftsliv is conservative in the sense that it embraces a view that is not up-to-date with what is happening globally, such as environmental degradation and climate change. A potential risk of overemphasizing outdoor activities, such as orienteering in educational practice, is that activity becomes all-embracing and teaching for the sake of the activity itself becomes the sole purpose of learning. 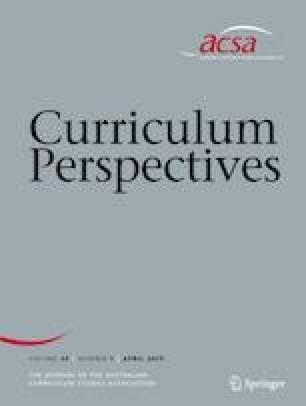 In response to the call to question the philosophical ideas or ‘drivers’ shaping our epistemological understandings of outdoor learning (Gray 2018), this paper offers a place-responsive pedagogy (Mikaels 2017) as a possible alternative. This includes educating for an environmentally sustainable future, as the primary goal for school-based friluftsliv. Despite efforts to enhance friluftsliv as a learning area in PEH in the Swedish school curriculum, there is seemingly a decline in school-based friluftsliv (Swedish School Inspection 2018). This is particularly prominent as pupils reach high school and secondary school (Swedish Friluftsliv 2016). Therefore, if we want school-based friluftsliv to be about learning for sustainability and fostering a sense of stewardship for the natural world and truly aim to contribute to our pupils’ becoming creative, curious, competent and nature caring individuals, then we need to re-imagine the educational practice of friluftsliv in Swedish high schools. The focus for this paper is to examine how friluftsliv is conceptualised as a learning area in the Swedish school curriculum. The aim is to question the legitimacy of these understandings, by bringing place as a previously marginalised discourses to the fore. For the paper in hand, I bring together Deleuze and Guattari’s (1987) concept of becoming and the concept of place-responsiveness, to create becoming-place as an analytical tool. I begin by providing an overview of friluftsliv in the Swedish curriculum. This is followed by a description of the conceptual and theoretical framework used in this study. The remainder of the paper focuses on the analysis and discussion of the findings and implications for practice. The term friluftsliv translates into English as outdoor life, or literally free-air-life. In Sweden, as well as in the other Scandinavian countries, friluftsliv is a contested term that generally refers to the cultural phenomenon of dwelling or spending time in nature for recreational purposes. In other words, the notion of friluftsliv as leisure and outdoor recreation, is deeply rooted. Sandell and Sörlin (2008) suggest that the development of a Swedish friluftsliv tradition, is related to two major societal changes in the late 1800’s, industrialisation and urbanisation. Inspired by Romantic ideals, the return to remote, uncivilised and magnificent nature, was regarded as high status leisure for the white, predominantly male, urban cultural elite, in societies all over Europe in the early twentieth century (ibid). In response to a revival of nationalism and Romanticism, Swedish nature and connection to the land was regarded as important characteristics of the development of Sweden’s new national identity in the early 1900s. In various forms, outdoor learning has been part of Swedish schooling for more than 100 years. The term friluftsliv first occurred in the Swedish curriculum documents in 1928. At this time, with the intention that several subject areas should provide the opportunity for the students to get to know their home ground, and to learn about the natural and cultural history of their local environment. Some sixty years later, along with the 1980 curriculum, friluftsliv went from being of common concern for the entire school, to becoming part of physical education, or PE. Consequently, the educational aim for friluftsliv became more skill-focused (Backman 2010). Friluftsliv as learning area in the Swedish curriculum, has had a similar development to that in other parts of the world, where outdoor education has become part of physical education (PE). For example, Zink and Boyes (2006) suggest that outdoor education in New Zealand took on the form of an activity-centred practice, and became more skill-focused, when imbedded in PE in the early 1980s. With the Swedish curriculum reform in 1994, there was a shift towards standards-based curricula, in the form of a goal oriented educational system. Similar changes in the education system can be seen in many parts of the Western world, towards the end of the twentieth century (Apple 2001). Influenced by market-driven ideas, neoliberalism is a feature of postmodern society based on the dominant principles of the free market and consumerism. In an educational context, these neoliberal ideas work to create an increased decentralisation and privatisation. Redelius et al. (2015) suggest that these neoliberal tendencies led to the state handing over full responsibility for the running of schools to the municipalities, although the Swedish state remained responsible for the national curriculum. Along with the 1994 curriculum reform, an emphasis on health was added to PE, thus changing its name to today’s physical education and health (PEH). In the national 1994 curriculum, sustainable development was introduced as a core concept. This new content knowledge signals a shift from emphasising the value of skill in various outdoor activities as a way to a healthy life style, towards fostering environmental care and ecological understanding, as the aim for school-based friluftsliv. However, there was nothing in the 1994 curriculum documents to suggest how PEH teachers should go about teaching this new content knowledge. Despite the introduction of sustainable development as a key concept for friluftsliv within PEH, the learning objectives remained rather narrow and instrumental (Sundberg and Öhman 2008). Consequently, the introduction of learning for sustainability as the aim for friluftsliv in the 1994 curriculum, was weakly framed within a subject underpinned by an even stronger tradition of friluftsliv as outdoor recreation activities. The conclusion we can draw from each national review concerning the quality of teaching in school-based friluftsliv, and each new curriculum that has been introduced in the Swedish school system, is that very little has changed in the last twenty or thirty years. Increasingly, interest is growing in the work of French philosopher Gilles Deleuze and his co-writer the psychoanalyst Félix Guattari in outdoor and environmental education, especially concerning the roles of place (Gough 2008, 2015; Mannion et al. 2013; Stewart 2008, 2015), and contemporary animism and new materialisms (Clarke and Mcphie 2016). Place-responsiveness, a term coined by Cameron (2003), “carries with it the impetus to act, to respond” (p. 180). Following Stewart (2004), Wattchow and Brown (2011), and Mannion et al. (2013), I refer to place-responsive pedagogy as a practice that pays particular attention to the empathetic response to the cultural, historical, and ecological conditions of place(s), and also how people perceive, enact and embody place(s). Roy (2003) suggests that working with DeleuzoGuattarian concepts in educational research is about changing the image of thought. For Deleuze and Guattari (1987), becoming refers to challenging anthropocentric worldviews, which involves questioning cultural hierarchies, power, and the majoritarian. In this case, becoming-place means taking on the role of the nondominant to bring place to the fore, which has been a previously marginalised discourse in Swedish school-based friluftsliv. This paper draws on qualitative empirical materials from a yearlong case study together with eight high school PEH teachers, from different parts of Sweden (Mikaels 2018). The yearlong research project applied a qualitative longitudinal case study design and was divided into four phases. The first phase focused on preworkshop interviews. Phase 2 was the workshop phase. Phase 3 involved implementing a place-responsive school project. The fourth phase consisted of follow-up interviews and evaluation. The empirical materials consisted of interviews conducted before and after the three workshops, and individual written workshop reflections. The overall aim of this research project was to explore the educational potential of a place-responsive approach for teaching and learning in school-based friluftsliv in a seventh through ninth grade context. There were primarily two reasons for choosing seventh through ninth grade. Firstly, previous studies (Backman 2010), as well as national evaluations of PEH (Quennerstedt et al. 2008; Swedish School Inspection 2018) suggest that many high school PEH teachers seem to struggle with turning friluftsliv, as it is presented in the PEH syllabus, into actual teaching. Secondly, there is a decline in the amount of time teachers spend on teaching friluftsliv in high school, compared to other learning areas in PEH (Swedish Friluftsliv 2016). In the last curriculum renewal from 2011, friluftsliv as a learning area in PEH in primary school comprises five content topics, including orienteering in unfamiliar terrain using maps or other means of positioning; how various outdoor activities may be planned, organised and carried out; rights and obligations in nature according the right of public access; and swimming and safety around water in winter time (SNAE 2011). The potential problems associated with these conventional content topics, is that they tend to limit PEH teachers’ understanding of school-based friluftsliv. Furthermore, these content topics tend to produce a decontextualized and instrumental practice. For example, learning to navigate in unfamiliar terrain through orienteering, which is by far the most common learning activity. A potential risk with human-centred practices is that they may in fact promote and reinforce anthropocentric worldviews, such as the notion of nature being there for human purposes alone, rather than challenging them. In addition, the Swedish school curriculum also emphasises that historical, environmental, international, and ethical perspectives should be addressed in all subjects, including PEH, in which friluftsliv is embedded. However, the implementation of these overarching perspectives into actual teaching has proven to be rather limited (Mikaels 2017). In other words, what we have here, is a mismatch between, on the one hand, the intentions and visions presented in the mission statement of the curriculum, and on the other hand, the friluftsliv subject matter in the PEH syllabus. In the latest national review of the quality of teaching in PEH in seventh through ninth grade (pupils 13–15 years of age), friluftsliv was identified to be the learning area in greatest need for development (Swedish School Inspection 2018). While there are some good examples, there are an alarming number of schools with very limited or no teaching in friluftsliv at all (seven out of 22). Parallel to the global environmental crisis, I would say that we are witnessing an educational crisis for friluftsliv in the Swedish curriculum at the moment. However, the paradox is that the educational crisis for school-based friluftsliv is an inverted environmental crisis. What I mean is that, despite living in a time when the effects of climate change and the increasing need to pursue a course of sustainable development loom large, very little is done in school-based friluftsliv to address these challenges and highly important issues. This echoes Baker (2005) who proposed that it may be assumed that the environment play an integral role, simply because outdoor education commonly occurs in natural places. Baker fears that place(s) often become no more than a backdrop for people-centred activities in the outdoors. Therefore, as teachers and outdoor educators, we need to assess whether our students are becoming actively engaged in learning in and with the land, or merely passing through it. Findings from this study suggest that friluftsliv as a learning area within PEH has adopted and institutionalised its own regimes of norms, truth claims, and ideals. One of the more immediate findings from the analysis of the pre-workshop interviews, was how coherent the picture seemed regarding the teachers’ understanding of friluftsliv. For example, they all talked about school-based friluftsliv as being the same as leisure and outdoor recreation. This correlates with how friluftsliv is conceptualised in the PEH syllabus. The conventional understanding of school-based friluftsliv as being the same as outdoor recreation limits the scope of what is considered possible. Having school-based friluftsliv framed by human-centred perspectives, and seen through the same physical activity lens dominating PEH, has two major consequences for educational practice. One consequence is that teaching for the sake of the activity itself, becomes the sole purpose of learning. A second consequence is related to how nature is conceptualised. The notion of friluftsliv as outdoor activity, privilege and produce a certain outlook on nature. Throughout the PEH curriculum documents, nature is referred to as either an “outdoor gym”, “arena”,” resource” or “location”. An alternative reading of the Swedish curriculum documents, by using becoming-place as a critical lens, suggests that from viewing nature as a gym, arena, or resource, nature is reduced to and objectified, as other. And as such, reduced to merely a back drop for people-centred practices. Similarly, Nicol (2014) suggests that such an objectification of nature tends to support the people-centred world view of anthropocentrism, rather than challenge it. In response to the educational crisis school-based friluftsliv in Sweden is facing, this paper offers a place-responsive pedagogy, as an alternative practice. Stewart (2006) suggests that a place-responsive pedagogy involves being curious and attentive to one’s surroundings and observing how different phenomena are related, documenting your observations, reflecting on your observations in relation to those made by others, and sharing your observations and insights to others. A variety of interrelated features that in different ways make each place unique may be explored, such as the natural and cultural history of the place, the ecology, and the stories that belong to that place. A key component in this process is becoming attentive to the relationships between humans and the more-than-human world. What I am arguing for, is integrating this approach to teaching school-based friluftsliv. A place-responsive pedagogy will enable teachers to address the four overarching historical, environmental, ethical, and international perspectives stated in the curriculum. The critical questioning of taken for granted assumptions underpinning school-based friluftsliv along with a place-responsive perspective has opened up for new and previously unthought-of ways of relating to friluftsliv as a learning area in the Swedish PEH curriculum. As expressed by the teachers involved in the yearlong case study, the place-responsive pedagogy provided educational potential in different ways. Firstly, a place-responsive pedagogy enabled the teachers to relate to friluftsliv as a learning area in the PEH curriculum in new and innovative ways. Place as a focal point for learning also provided a clearer learning objective regarding what the pupils were actually supposed to learn in school-based friluftsliv. A key finding from the analysis of the Swedish school curriculum documents, as well as from the first set of interviews with the PEH teachers, is that Swedish school-based friluftsliv practice appears to be understood as outdoor leisure and recreation rather than education. In other words, the concept of friluftsliv and the legitimacy of this understanding has not been questioned in terms of what it could or should become, when taken into the curriculum. This in turn, limits the possibilities for teachers to turn the vision of the curriculum into actual teaching. Secondly, having place as the focal point for learning, resulted in increased cross curricular engagement with several subjects working together with friluftsliv as a common theme. From seeing the curriculum more like a rhizome (Roy 2003), that is, in terms of its connectivities and relationalities, a place-responsive pedagogy enabled these teachers and their colleagues to work in new and innovative ways and engage more in cross-curricular learning initiatives, closer to the school. Furthermore, there appears to be something missing in teacher education to adequately prepare PEH teachers who can envision a school-based friluftsliv practice that is any different from the present one. Based on the empirical findings, I suggest that by re-imagining friluftsliv from place-responsive perspectives, these teachers were able to move away from the majoritarian understanding of school-based friluftsliv. The outdoor recreational activity discourse seemed to produce a practice that kept them confined to traditional ways of teaching friluftsliv. This worked to limit what they regarded as possible learning objectives for school-based friluftsliv. Engaging in a place-responsive pedagogy that pays particular attention to the empathetic response to the cultural, historical, and ecological conditions of place, created possibilities to work with the overarching perspectives in the curriculum as the object for learning in school-based friluftsliv. Quennerstedt, M., Öhman, M., & Eriksson, C. (2008). Physical education in Sweden – A national evaluation. Retrieved from http://www.leeds.ac.uk/educol/documents/169508.pdf. Accessed 14 August 2018. Swedish Friluftsliv. (2016). Undersökning bland idrottslärare [Investigation among PE teachers]. Retrieved from http://svensktfriluftsliv.se/nyheter/undersokning-bland-idrottslarare/. Accessed 10 May 2018. Swedish National Agency for Education. (2011). Curriculum for the compulsory school, preschool class and the recreation centre. Retrieved from http://www.skolverket.se. Accessed 20 May 2018. Swedish School Inspection. (2018). Kvalitetsgranskning av ämnet idrott och hälsa i årskurs 7–9. [Quality evaluation of PEH]. Retrieved from https://www.skolinspektionen.se/idrott-och-halsa. Accessed 15 February 2018.